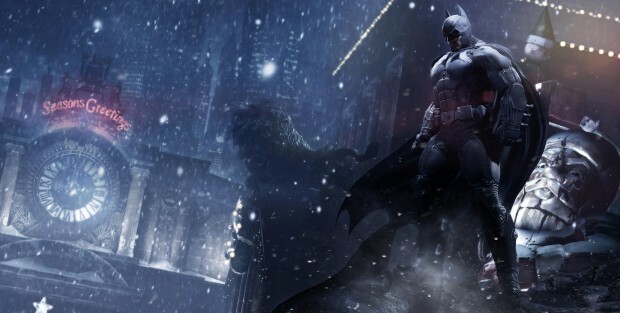 Update: Kevin Conroy joined Twitter to make a tweet saying it won’t be for Arkham Origins but the one after that. No word on if Rocksteady is devleoping or anything but there’ll be another game after Origins at least. Conroy later deleted that tweet but at least we have the evidence! Original Story: You might have seen last week’s under a minute teaseer for WB Montreal’s Batman: Arkham Origins. Now, we have the full trailer and some new tidbits on the title. Next up, the weary wand of pre-order content will be evident here. If you pre-order now, you’ll be able to play as the villian Deathstroke. Polygon was told that Deathstroke will be playable in the challenge maps, skill-based challenges from the Arkham series. You’ll also get two additional challenge maps and new skins for the character. Pre-ordering gets you early-access so it’ll be sold later on after release. Lastly, Over the past weekend, Batman: The Animated Series and Arkham Asylum/City voice over actor Kevin Conroy mentioned he was working on ‘the next Arkham game’ at a convention. We didn’t really know if that meant he’ll be Batman again or not or if it’s for a different game that possibly Rocksteady is making for next gen consoles. But IGN‘s preview indicates that Batman will be voiced by Roger Craig Smith, who’s voiced Ezio from Assassin’s Creed to Chris Redfield from Resident Evil. Booker DeWitt’s voice actor Troy Baker will be taking over the Joker from Mark Hammil. Possibly Kevin Conroy shows up as a cameo? All in all, the preview IGN has sounds pretty radical and a worthy successor to Arkham City and the trailer looks cool! Let us know in the comments how you feel about it or let us know in our forums.